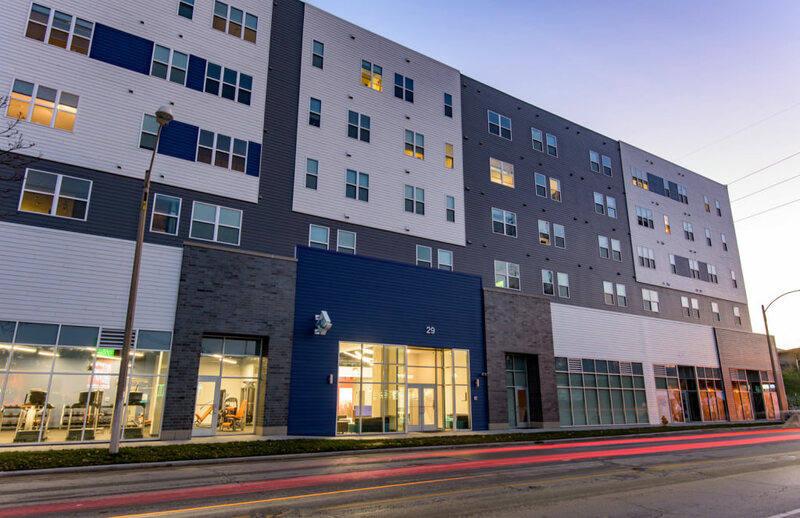 West Quad is a new mixed-use student residence complex located off-campus from the University of Illinois at Urbana- Champaign, within close proximity to the Quad and Green Street’s dining and entertainment offerings. The project is comprised of two living components. A 226,000 SF, S-shaped mid-rise features two- and four-bedroom units atop a two-story parking base with groundlevel retail. 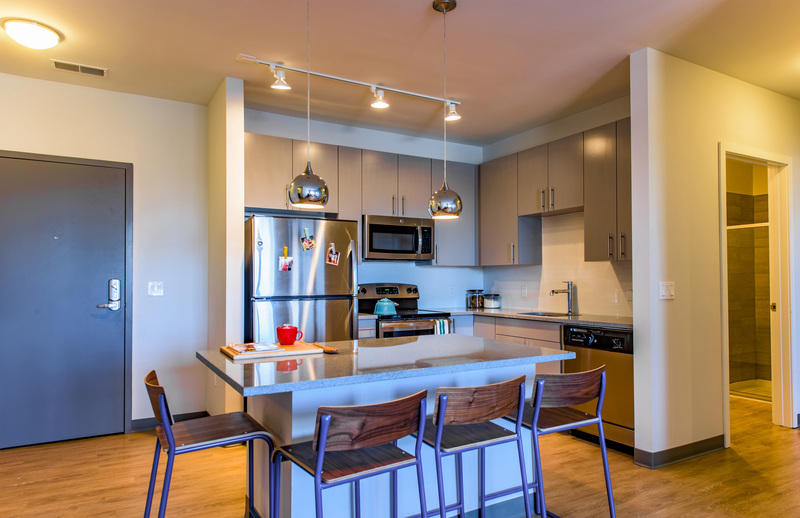 Alongside the tower are two volumes with a total of 40 townhome-style residential units with duplex configurations. The modern design aesthetic is underscored by clean architectural lines and contemporary masonry. 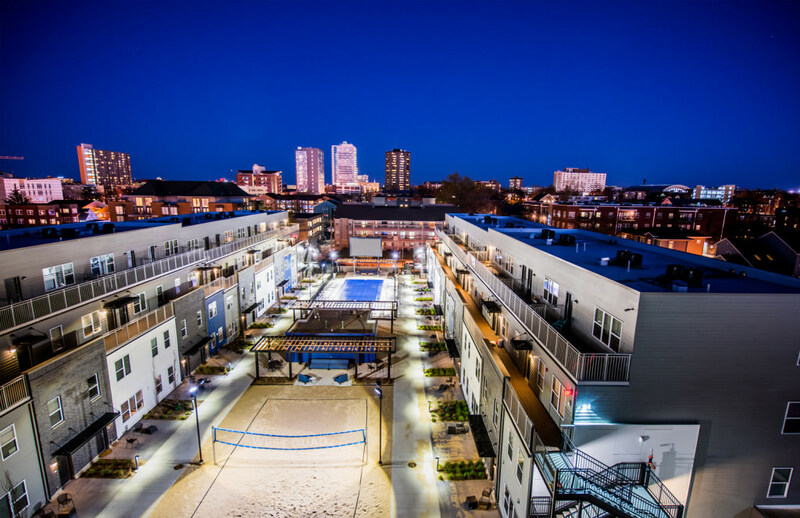 Amenities include a fitness center, club room, theater, and a sundeck with a pool, lounge seating and a sand volleyball court.